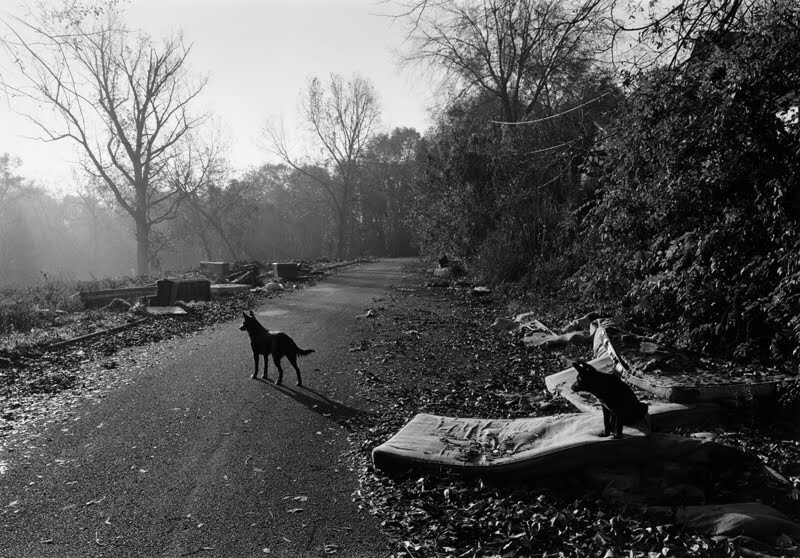 Photographer and teacher Mark Steinmetz is based in Athens, Georgia. Blake Andrews: Many of your photo projects have a dated look, for example the book trilogy South Central, South East, Greater Atlanta feels very 80s-90s. I think this is because you sometimes wait several years to organize and show photos. What is your reasoning? Does it take that long to think through them? Or is there something about photos and their connection to past/history that you're trying to tap into? Mark Steinmetz: The photos in South Central were made in the early 90s and the other two books were made in the mid-late 90s and the 00s - I think the most recent photo in Greater Atlanta was made in 2009. They don't feel that dated to me - just the recent past. Summertime, which is the latest book, dates back to the 80s, but not the other ones. The hairstyles and clothes and cars in Summertime are particular to that time - you can't find them now. A few of the photos in the books were shown near the time they were taken, either in photo magazines, or literary reviews, or in shows. But these mostly pre-date the widespread use of the internet so in today's terms it's as if they never took place, except for the various people at the time who saw the work and perhaps took something away with them. There were offers of publishing the work earlier as a book, but mostly everyone wanted me to bring money to the table. I was pretty poor and any money coming my way had to go to rent, food, and film, etc. - I couldn't afford to divert any money to a book and really knew of no one wealthy to ask for some financial help anyway. There wasn't anything like crowd funding in those days. But the books are better for having waited. The edit is much better and the general quality of printing in photo books today is better. I don't advocate looking for short cuts or for being in a rush - one can always tell. In what way would the edit be different if you'd published them at the time you'd shot them? I guess another way to ask that is, how has your understanding of the photos shifted since that time? And more generally, how do you think our appreciation of photos shifts as they recede into the past? When I was young, I was too unorganized. I rented one-bedroom places and the bedroom was sealed off and became the darkroom. The print washer was out in the kitchen and I would sleep in the living area or hallway. I made my prints on small scraps of paper and nobody was really interested - not in any way that would lead to financial remuneration. It was like that for about fifteen years. Now I have a spacious darkroom that's separate from my house and my mind is more orderly. I have a better loupe and light table. When you are young, you spend a lot of energy trying to figure out your place in the grand scheme. Other people's realities get wedged into your subconscious and other people want you to walk down paths that aren't necessarily yours to walk - it takes a while to extricate yourself from that. Maybe back in the day I would have selected photographs for their complexity or difficulty; now it often seems to me the simplest ones are the strongest. It's hard to say how our appreciation of photos will shift over time. Hopefully, if a photo is well made it will (like a fine wine) seem fresh and alive years after it was taken and in some way transcend its era. I don't think I give many points for nostalgia but perhaps others would. Who do you think is the intended audience for your photos? Is it generally photographers? Or do you think they can appeal equally to a general layman audience? What does your family (both immediate and extended) think of your photography? Do they "get" it? I went to a liberal arts college where I spent too many Friday and Saturday nights reading books and writing papers in the stacks of the library. The classes were usually small and maybe a dozen or so of us students would sit around a table delving into novels by Proust or Dostoevsky, really getting into the nihilism of Russian literature or whichever subject. There's no way I would have been able to do the work I've done in relative isolation for so long without having been fortified by this experience. So maybe my work is mostly for people who have done a careful reading of at least a few books and who might still be able to fathom the magnificence of literature (I include photo and film as literary forms). Photographers who know the medium well might get something out of my books that others who lack a background in photo history wouldn't, but for me, anyone sensitive and smart will do. I would be happy for my work to be known beyond the photo book ghetto. My family has been able to get my work well enough. Photography is at its most basic a method for sharing. You stand in front of something, take a picture, and then someone else in a different place and a different time might be touched by it - so I think photography is just about always for some kind of audience, even if it's an imagined audience. What do you look for when you're out photographing? When you are out walking around, what makes you stop and make a photo? This question I can't really answer. I just want to mess with the photography gods (mess with their minds). "Mess with the photography gods." That phrase infers that some portion of the act of photographing lies outside the photographer's control. Do you consciously seek out uncontrollable situations? Do you think some photographs (by others) are too controlled? Most everyone wants to control their circumstances, to dictate outcomes, but I would say life gets better when you relax and embrace your powerlessness. I like to think (and sometimes it really feels this way) that we have unseen helpers and maybe in the realm of photography there's a heavenly pantheon of photographers like Evans, Atget, or Kertesz watching over us - and who behave like the gods of Greece - (this gets back to the question of exactly who is your audience) and who smile upon those who practice photography with sincerity and diligence and mischievous audacity. I am more interested in a photography that collaborates with chance events. Photographers who are too controlling come up with pictures where the viewer has little free will - the experience of looking at the photo is over-determined and so there's not so much lasting pleasure. You get their point and then move on. Why do you shoot in black and white? What does this show that color can't? Do you ever shoot color? I've shot a fair amount in color and like color photography a great deal, it's just that the materials have always been problematic for me. The green of the grass often seems off (like it's a strange chemical concoction) and the color of flesh can be a weird unconvincing orange, etc. If you carry your print from the processor you are shocked at how it changes as you pass by a window with daylight coming in or go under fluorescent lighting and then tungsten. I recognize I'm fussier than most, especially when it comes to my own work. The type C print is plastic, not very well washed, and if you live long enough, you'll see the colors shift. But matted, under glass, well lit, a Stephen Shore print from the 70s can look great and exciting - so I'm not really saying much of anything here. Digital ink prints on paper is the way to go I think but so often they have a nervous quality - each object in the print seems separate and distinct from every other object - some sort of relaxed harmony is lacking. But maybe others have already pointed this out and somebody somewhere is working on this technical fine point as we speak. I think it's very hard to make truly legible color photographs of complicated scenes - like a busy street scene. Little things in the image that you don't care about so much, such as the red tail light of a parked car in the background, rise to claim undue attention - red is so aggressive - the tail light way in the back muscles its way to the forefront of the image. That's one reason so many color photographers tend to photograph in weaker, subdued light or de-saturate their images. Shadow areas, black hair and pants, etc. tend to be feeble in color prints - b/w tends to be more purely about light and structure, and as a technical object is vastly superior (it's silver on paper after all). Also, color is very active - kind of loud and rowdy. The elements within a b/w photo are more at rest. In a color photo of a sunset, it always seems to me that that sunset is being forced upon you. What's there to ponder? In a b/w photo of a sunset, more is asked of your poetic imagination. (Please note: I am not a fan of sunset photos.) But it would seem b/w is becoming irrelevant to the larger world and not much can be done about that. Maybe today's viewers can't quite navigate (feel) their way through a b/w picture or they don't really make the effort and dismiss it as something belonging to the past. I still feel you can be completely modern in b/w. I'll probably get a digital camera one day and work in color and that will be that (or maybe not). As I said, I am interested in color - I see its allure - but the big drawback for me is the technical nature of the final print. So the decision basically comes down to technical matters? The difficulty in making a satisfactory color print is the main obstacle? Does that same difficulty effect your decision to print b/w in a traditional darkroom? Thankfully you are one of the few people still working that way. I'm curious if you can explain why. Difficulty isn't quite the right word. Printing b/w is difficult. So is developing all the film you've ever exposed yourself. Color materials are slightly disappointing which is a different experience than encountering difficulty. I really admire my friends in what were for me the olden days who had to make their color prints using slow-going tubes - this was before color processors. 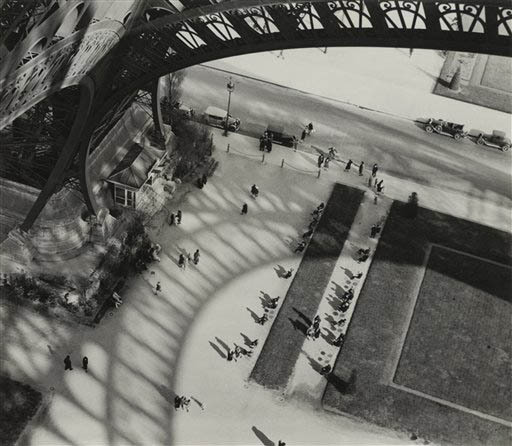 Their prints all shifted to yellow in less than a decade but they were pursuing color photography because it was exciting, because the b/w world was well-known and continuing working in that vein seemed boring to them. Now color is the norm and perhaps we are reaching a point of over-saturation with it. In oil painting, the artist has a true involvement with the choices of color. In color photography, there is much less involvement; much of the work you see in galleries is outsourced and it shows. Color photography is more about color than it is about light (though I am on dangerous ground trying to untangle the two). If you suspect that this world might be an illusion, then b/w does us the favor of stripping away one of the veils of our illusion. I wonder if color photography can ever produce work as profound as Atget's or Evans'. I guess it shouldn't surprise me that someone as visually articulate as Mark Steinmetz would display the same quality in person. I didn't want this interview to end! Mark's comments are as clear, astute and penetrating as his wonderful photographs are—and always have been. The term "photographer's photographer" is being used a lot lately to describe this and that photographer; Mark is the genuine article. "I am…interested in a photography that collaborates with chance events" is beautifully stated, and his insights into contemporary trends and materials are equally well-considered, and beneficial to those of us navigating unexpectedly choppy (digital) waters with our traditional craft. Hi B. Many thanks for let me know the work of Mark Steinmetz. I don't share his taste for the whole edition but he had some photos that blow my hair off. And in the same vein Iike, simple mundane things. I Know is a common place but If you come down here to Buenos Aires, I would be extremely happy to invite some beers. A very good Q&A, thank you. I'm a huge fan of Mark's work and I read all of his interviews that I happen to stumble upon, trying to decipher the secrets of his photos' allure. I think in this interview he was a bit crypric in some points (photography gods answer). I am always courious for the level of verbal inreraction he establishes with his subjects before the shot. In an older interview he said, that he keeps it at a minimum and he usually just asks for the subjects consent. And yet, it's surprising the similarity of the emotional correspondence he extracts from his subjects, seemingly leisurly, as if they know what he wants. How can he do that? This is what I wanted to know.